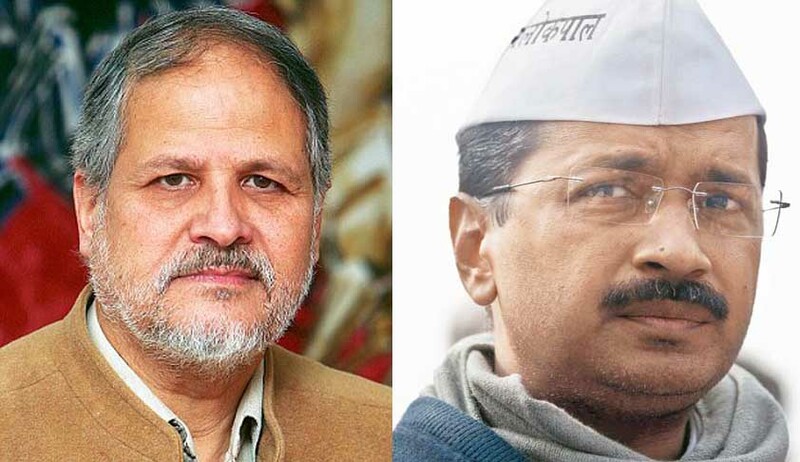 The Supreme Court today issued notice to Centre on a batch of six appeals filed by Arvind Kejriwal-led AAP government challenging the Delhi High Court order which gave primacy to the Lt Governor Najeeb Jung in the administration of the National Capital. Seeking response within six weeks, the bench fixed the SLPs for final hearing on November 15. A bench of Justice A K Sikri and Justice N V Ramana however refused to stay the HC order despite fervent plea by a battery of senior lawyers who appeared for the Kejriwal government namely K K Venugopal, Gopal Subramaniam, Indira Jaising, P P Rao and Rajeev Dhavan. Subramanium referred to Lieutenant-Governor Najeeb Jung constituting a three-member panel to examine over 400 files containing “infirmities and irregularities” in administrative decisions taken by the Aam Aadmi Party (AAP) government here. LG yesterday said he found irregularities in 10 files. Attorney General Mukul Rohatgi and Solicitor General Ranjit Kumar who appeared for Centre urged the bench to dismiss the SLPs outright as the sworn affidavits along with it were signed by the Deputy CM while it should ideally be by Law Secretary. Said HC verdict subverted the democratic governance structure put by a constitutional arrangement which recognises Delhi as a state with an elected assembly. “If the LG the boss in terms of governance and decision-making process, then Parliament in its wisdom would not have provided for a council of ministers headed by a chief minister, who were answerable to the legislative assembly”, the appeal said. Th Delhi government it was a settled constitutional principle that the figurative head of a state, like governor or LG, was bound by the decision of the council of ministers headed by the CM. But the HC chose to tread a new constitutional path and declared that the LG had the discretion whether or not to heed the council of ministers. The Kejriwal government significantly withdrew the pending suit in the apex court on the same issue filed by invoking article 131 of the constitution. Through it wanted the SC to demarcate the powers of the state government and the Centre in the administration of the capital. SC had earlier asked the AAP government to withdraw it and only focus on the SLP saying a “parallel proceeding” cannot be allowed.